Sadly another large ride balloon has been involved in a fatal accident this time resulting in the deaths of 19 passengers. One passenger and the pilot survived by jumping from the balloon at a low level. The accident happened west of Luxor, the balloon finally coming down in a sugar cane field, close to the village of Al Dhabaa. It is believed the balloon, an Ultramagic N-425, registration SU-283, operated by Luxor Balloon Ride Operator Sky Cruise, caught fire on landing at 0715 local time when a fuel hose failed close to the burner. It is not thought that the balloon actually landed but caught fire at low level during the approach. Reports indicate that a liquid hose was severed by, or was caught up in, a handling line. Other reports suggest that it may have been the parachute line running over the hose that caused the failure. The pilot, Momin Muradand and one passenger, a Briton, jumped from low level. 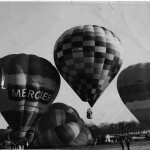 The fire, plus the loss of the weight of the pilot and passenger, then caused the balloon to rise to around a thousand feet where an explosion was reported and the balloon collapsed and streamered to ground on fire. 18 passengers were reported dead at the scene, some having jumped from the balloon as it climbed. Initially there were three survivors but one died later in hospital following emergency surgery. The casualties included one Egyptian along with British, French, Belgian, Hungarian and Japanese nationals and nine Chinese tourists from Hong Kong. Following the tragedy the Governor of Luxor, Ezzat Saad, banned hot air balloon flights in his jurisdiction until further notice. This was followed by Wael el-Maadawi, Egypt's Civil Aviation Minister, suspending balloon flights nationwide. Controversy over the incident has already started. Although the initial findings have ruled out criminal conduct the actions of the pilot, who suffered 70% burns in the accident, have been bought into question. His licence had been renewed a month before the accident. Local pilots held a press conference on 2nd March defending the pilots’ actions along with the current operating safety measures. Although allegedly recently inspected it has also been reported that the condition of the balloon, thought to be serial number 425/03, was not to the required standards. In an interview with the press Mohammed Osman, head of the Luxor's Tourism Chamber, accused Civil Aviation Authorities of ‘lowering standards prior to the accident’. He is quoted as saying "I don't want to blame the revolution for everything, but the laxness started with the revolution. These people are not doing their job, they are not checking the balloons and they just issue the licenses without inspection.” In a separate report ‘an anonymous’ Civil Aviation Ministry Official acknowledged that standards had been weakened by the current regime. Following the last accident in Egypt, when a balloon hit a mast, the industry was effectively closed down for six months for retraining. In a country that is already suffering a 25% fall in peak season tourism however, with protests already coming from other balloon operators and their employees, it is expected that flights will probably resume within a month. Currently balloon ride prices in Egypt are around £85 per person. This compares to other major worldwide tourist destination balloon rides that run between £150-£300 pounds. It is believed that the balloon that collided with a cruise ship on the Nile last year was also operated by the same company. Hopefully the investigation by the Egyptian Authorities and other interested parties will be thorough and the actual cause can be properly determined. The BBAC and its officers are keeping a close watch on the outcome of this accident. We can learn from such events in the hope that this will reduce the likelihood of recurrence in the UK, or elsewhere where our members have influence. It is important, however, to put such accidents, terrible though they are, in context. Despite several serious high-profile ballooning fatalities around the world in the last couple of years, we should emphasise that the number of flights taking place and passengers carried is very large, especially in locations such as Luxor. Statistically, ballooning has a safety record on a par with the airline industry and, whilst safety levels can always be improved, we should not allow ballooning to be regarded as a 'high risk' activity. All aviation (and indeed transport) is at some risk of accident and this cannot ever be completely eliminated. The UK, through many years of co-operation between the CAA (Civil Aviation Authority) as regulator, and the BBAC and BABO (British Association of Balloon Operators), has established a positive attitude towards minimising risk, and as a result has some of the most appropriate oversight anywhere worldwide. Many countries with tourist balloon operations seek to mirror UK practice, and BBAC members are frequently involved in drafting or enabling effective regulation overseas. Meanwhile it never pays to be complacent, so BBAC officers involved in safety and the Technical and Flying Committees will seek to derive maximum benefit from the findings of any accident enquiry. 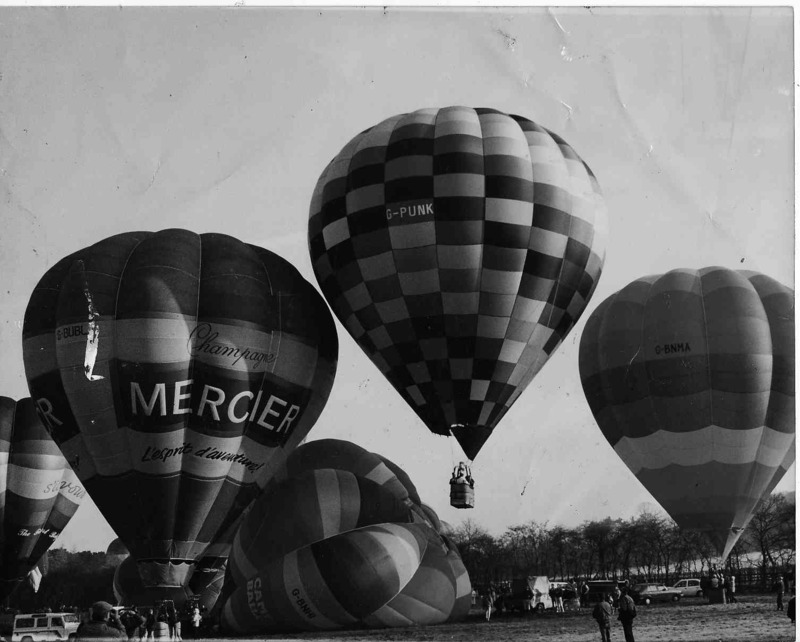 We shall also, I am sure, offer our assistance if required, in helping to make ballooning safer everywhere. We offer our sympathy to all those affected by the recent accident in Luxor, recognising the emotional and business consequences of such a tragic event. Phil Dunnington Chairman, Flying Committee, BBAC. 2. AOC: Air Operator’s Certificate: Issued by the CAA to companies and individuals flying members of the public on paid pleasure flights. Just a note to remind members of the British Balloon & Airship Club that the Annual General Meeting is on Sunday 17th March at the NFU Mutual in Stratford-upon-Avon starting at 2.00pm. Amongst the topics reported on and discussed will be a special motion to get approval to increase the Membership fees. Should be a frisky meeting. We’ll rush up there after the Famous Halton Ride but somehow I doubt we’ll have a stand but Zebedee Balloons will along with a few others. Its official - Baumgartner’s Records Ratified by FAI. Lausanne, Switzerland, 22 February 2013 - The FAI has today ratified the 3 world records claimed by Austrian parachutist Felix Baumgartner in Maximum Vertical Speed, Exit Altitude and Vertical Distance of Freefall. 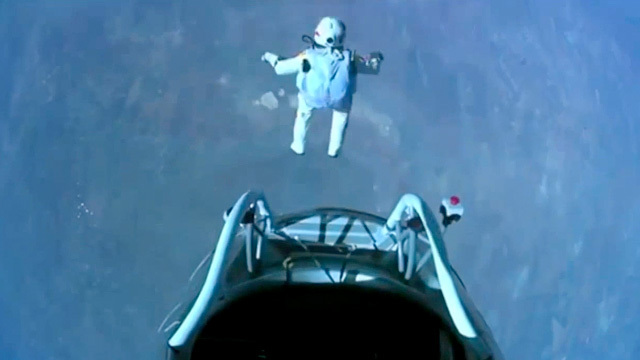 You may remember that on 14 October 2012, Felix, supported by a team of experts from the Red Bull Stratos Mission, took off from Roswell, USA, in a pressurised capsule attached to a massive helium balloon. 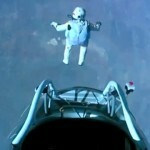 Snug as a bug in his specially designed suit he reached an altitude of 38969.4 m, where he jumped out. Officially he was in freefall for 36402.6 m and reached 1357.6 km/h before opening his parachute and landing safely. In real measurements that is, Exit altitude 127,852feet 4 and 11/32inches, Freefall 119,431feet 1 and 15/16inches and top speed 843.57353mph. Congratulations matey. Special shape impresario Andy Kaye has set up an everything balloon pin website. Andy explained that he’d set up the site to display the pins that he has have available for sale or trade and to help others have pins of their own made or sell their own pins. Spurred on by a lot of fresh interest in pins and shapes from the younger balloonists in the Bristol area and their reaction, through the various social websites and networking posting new things and pictures he thought its high time there was one place displaying a range of pins available rather than the odd few scattered on ebay. The site is nice and new and user friendly with the facility to buy on line. Prices seem to be very reasonable despite some of the pins being pretty rare. One area that they specialize in is the design and production of balloon pins (well any pins really) so if you have a new balloon or need some commemorative pins issued Andy is your man. www.balloonpins.co.uk. Bit of a swiftly jolt to the status quo and more regulation driven madness. 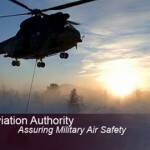 The Military Aviation Authority (MAA) has recently published Regulatory Article (RA) RA 1026 – Aerodrome Operator Roles and Responsibilities as a Notice of Proposed Amendment (NPA 13-01). Clearly they’ve been having a gander at the EASA website! For us this is a short notice thing bought to our attention by the CAA. It does need action now. The CAA report that this RA calls for the establishment of an Aerodrome Operator (AO) who shall be responsible for actively managing an environment that accommodates the safe operation of aircraft on any Ministry of Defence (MOD) aerodrome where fixed wing aircraft operate, the flight deck of any RN Ship capable of having aviation assets embarked (like the aircraft carriers we don’t have anymore) and those MOD aerodromes where a permanent helicopter, glider, UAS (would that be (unmanned airship? I know, the University Air Squadrons) or airship activity exists. The intent is to regularise the way MOD controls all its operating sites and appoint a person ‘legally’ responsible for the activities on that aerodrome. The MAA has stated that “it is important to note that the term ‘aerodrome’ is intended to also cover sites other than aerodromes which may be used by certain types of aircraft, e.g. helicopters or balloons”. Would that be launching from RAF playing fields? The NPA is already in the consultation stage and work is on-going into how this will be implemented and posts established/nominated to execute this AO role. The consultation period will close on 1 April 2013 and the MAA hope to see some movement later in the year. Until the RA is finalised and the AO has been established, the MAA position is that it not willing to allow any other users (new users) on their sites. Once there is an AO in place this can be examined together with the production, if required, of a letter of agreement (LOA). 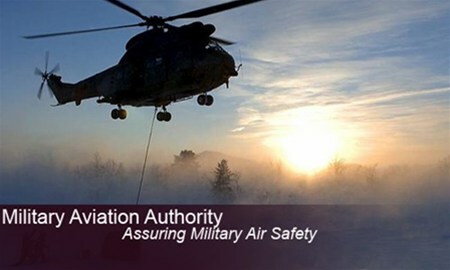 ‘As long as civilian operations are conducted in accordance with the Air Navigation Order, comply with all specific civil regulations, operate in conjunction with the published Military Regulation Policy and have been co-ordinated with specific aerodromes either through written letters of agreement (LOA) or other means of correspondence there should not be issue operating in the vicinity of MOD aerodromes. However, if you are not compliant with all these requirements you may have issues trying to operate into or out of MOD aerodromes in the future’. Saturday 23rd March starting promptly at 13.00 and finishing at 17.00. The venue will the The Function Room at The Bull (a very fine establishment), Market Place, Olney. Tea, coffee and biscuits will be provided at 15.00, but there is always the bar downstairs for before and after! There will be no charge, yes its FREE, but you will need to be reserve a space as the room does have a limit! If you wish to attend please email John Tyrell balloontyrrell@btinternet.com. Nice one CRBBBAC. The Headcorn Balloon Meet is hoping to attract around 30 teams attend this friendly event, including several old shapes for a tether. Invitations are out to balloonists to come down to Headcorn Airfield in Kent for a jolly fine meet which will be combined with the Southern Model Airshow. Organised by James McDonald & Shiralee Colin the event is planned for the weekend of 14-15 September and all are welcome to this popular and friendly launchsite. Having flown from there myself on many occasions I can say that the views of the Channel can be superb! Loads of contact stuff. Following a slight booking hitch with one customer, DFDS Group Sales have now advised that BBAC members who have given their BBAC membership number to benefit from the 20% BBAC member booking discount need to be actually travelling in the vehicle on the booking, their BBAC membership needs to be current. Additionally DFDS point out that only one discount can be given for each membership number quoted on the same sailing. So no more using someone else’s BBAC number to get a discount and no block bookings on one number! If you are taking two or more vehicles, then a current-paid-up-card-holding BBAC member must be travelling in each vehicle to qualify for the 20% discount. It would also be a good idea to carry your current BBAC membership card with you in case the port personnel wish to check that you hold a valid BBAC membership. If they find out you do not, you may find yourself paying a 20% surcharge before you can board the vessel. Now there’s a good reason to join the BBAC.